The 98five Ping pong-a-thon team has been mastering their backhands and top spin smashes for tomorrow’s Ping-pong-a-thon broadcast in the city. Drive with Jeziel will be broadcasting live from the Quadrant, Perth CBD from 3-6pm with the listener named team, the “Ping Pong Power Rangers”. 12 year old captain, and secret weapon, Jed will be joined by Jeziel, Malcolm, Emmanuel and Steven to take on other teams from the CBD’s corporate world. Malcolm has been really getting into the spirit of things, raising more than $450 for the event! 2 Bats are better than one. 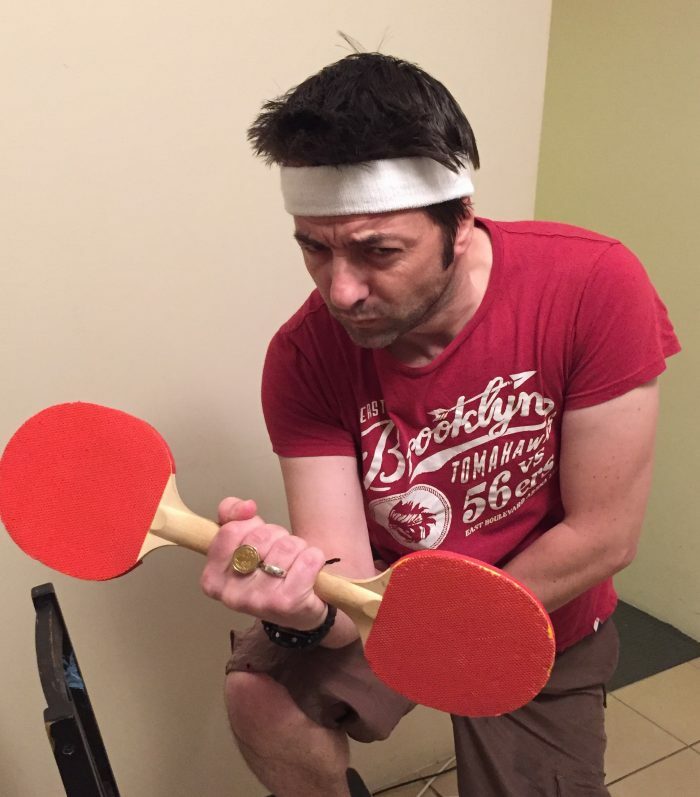 98five listener Malcolm prepares for Pong in the City. 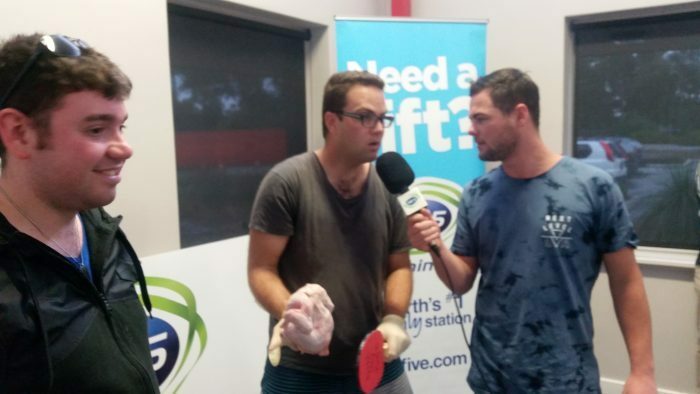 The Pong is a dynamic and fun twenty-four hour table tennis event that runs in venues across Australia every October. 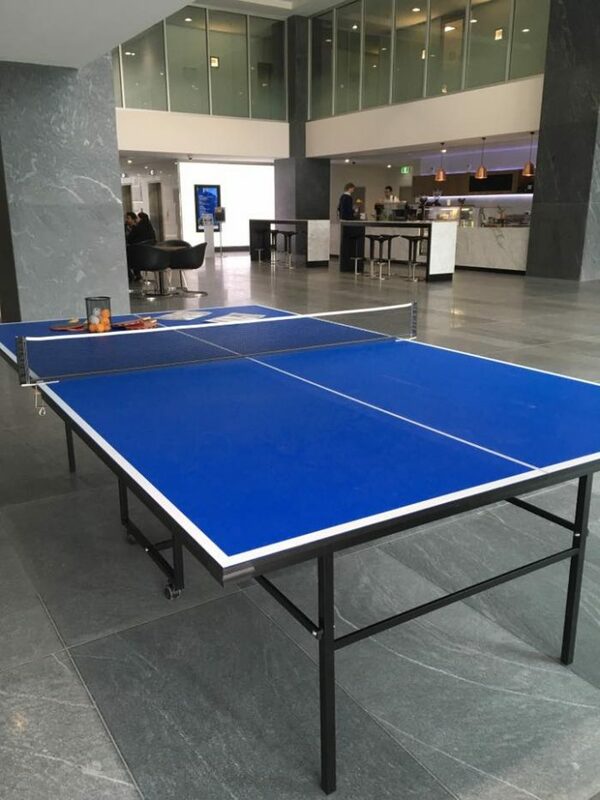 Participants sign up to play for a minimum of three hours of table tennis at their venue of choice and invite their family/friends to sponsor their efforts. Ping Pong-A-Thon partners in the work of creative, passionate and innovative organisations who are committed to supporting, equipping and nurturing the lives of young people impacted by human trafficking and exploitation in South East Asia. Table #1 is ready for tomorrow’s Pong in the City in the CBD. It started back in 2011 and last year the event managed to raise more than $200,000 nationwide, with Drive broadcasting from the Canning Vale event in October 2015. 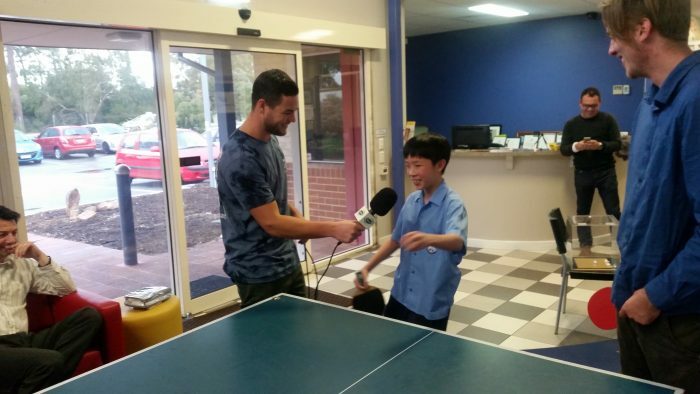 98five hosted the Ping Pong-a-thon tryouts in September, where 12 year old Jed stole the show with his table tennis skills. He even brought his own bat along! Emanuel had to play half his game with a chicken on his hand which actually improved his game. Maybe we’ll bring a chicken along tomorrow! 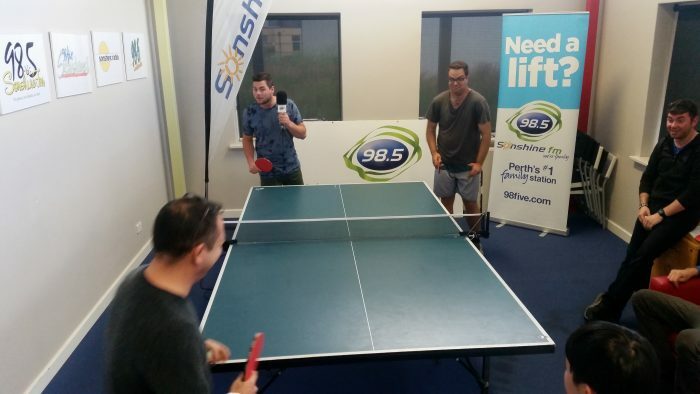 How to Donate: Click to donate to 98five’s ping pong team help stop human trafficking in south east Asia. If you would like to come down and join the 98five team and join the event, email us at drive@98five.com.